True Leaf Medicine International Ltd. (“True Leaf” or the “Company”) (CSE: MJ) (OTCQB: TRLFF) (FSE: TLA), a plant-forward wellness brand for pets and their owners, today announced it has surpassed 2,800 retail locations across North America and Europe and has launched e-commerce direct-to-consumer stores in three major European markets. True Hemp™ pet products are now sold in more than 2,800 stores across North America and Europe, representing an increase of 86 per cent in the last year. True Leaf has partnered with new distributors in Norway, Holland, Belgium, Switzerland, and Greece to increase its retail presence to 800 stores across Europe, representing a 100 per cent increase in the last year. True Leaf Pet, a division of True Leaf, pioneered hemp-seed based products for dogs. The Company’s True Hemp™ line of functional chews, supplement oils, and dental sticks is one of the first hemp-seed pet product offerings to be marketed worldwide. Pet owners in France, Germany, and the United Kingdom can now shop for True Leaf Pet products online at www.trueleafpet.eu and have them delivered directly to their door. In France, the online store launch marks True Leaf’s entry into the large French pet market valued at 4.6 billion euros (Source: Euromonitor 2017). True Leaf is a plant-forward wellness brand for pets and their owners. 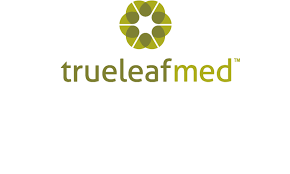 Founded in 2013, True Leaf has two main operating divisions: True Leaf Medicine Inc. and True Leaf Pet Inc. Established in 2015, True Leaf Pet Inc. is one of the first companies to market hemp-based products for pets worldwide. The Company is initially marketing a line of hemp-seed based supplements for pets. True Hemp™ chews, dental sticks, and supplement oils are sold in more than 2,800 stores across North America and Europe.